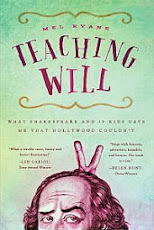 Teaching Will: The Shakespeare Club: Who the Heck Is She? I can't remember a time when I didn't want to be an actor. Or a dancer. Or a writer. Or a teller of stories in some kind of limelight. I can't remember a time. I was one of those obnoxious children who stole the focus from siblings and grabbed the lens. I bounced in and out of shots, assuming an audience waited for me. 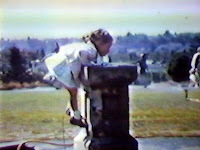 I distinctly recall my uncle, with his 8mm movie camera, filming me balancing step after step along the curb of a sidewalk. Here's the thing: I knew he thought he was shooting candid footage. But he wasn't, because I was posing. I was already acting and I was three years old. 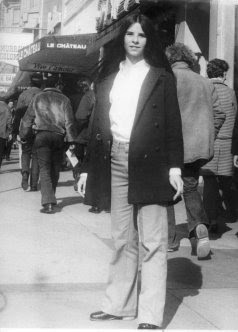 I took my first serious steps into the acting profession at sixteen years of age, I had my Actors' Equity card by eighteen and covered a lot of ground across the regional stages of Canada and the U.S. I moved from my hometown of Vancouver to Stratford, Ontario, to Toronto, to New York City, and to Los Angeles. Chasing, chasing, chasing, and finally stopping. I had an exciting stage career and an interesting television and film career, and when I became someone I didn't want to be I walked away and broke my own heart. I did not want to be a bitter, sad and angry actor and I could feel the onset of that as I waited for my agent to call. So, that was a tough and painful surgery without anesthetic. I became an acting and dialogue coach. I was accepted into the prestigious Directing Workshop for Women at the American Film Institute and still I waited for and wondered about the next big thing. 1. I know something about the works of William Shakespeare. 2. I know a lot about the craft of acting. 3. 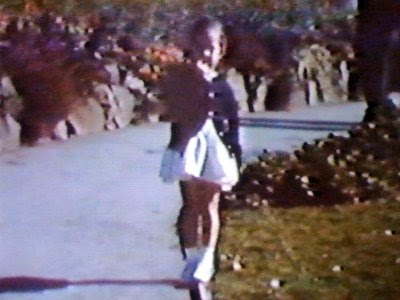 I remember what it was like, from the age of three, wishing to be heard. This is who the heck I am. Welcome to the world of blogging. I look forward to reading all about you and Will! And right back at you! I loved your Blanche stories, especially. And your funny take on age,clothes and chocolate stuff. Loved this year's performance and am looking forward to following your journey to next year's! Clever blog name!